On the second day of arriving to Japan we said sayonara to the bustling city of Tokyo, even though we sadly didn’t party with robots or go to Hello Kitty Town. So much to do, so little time. Sigh. 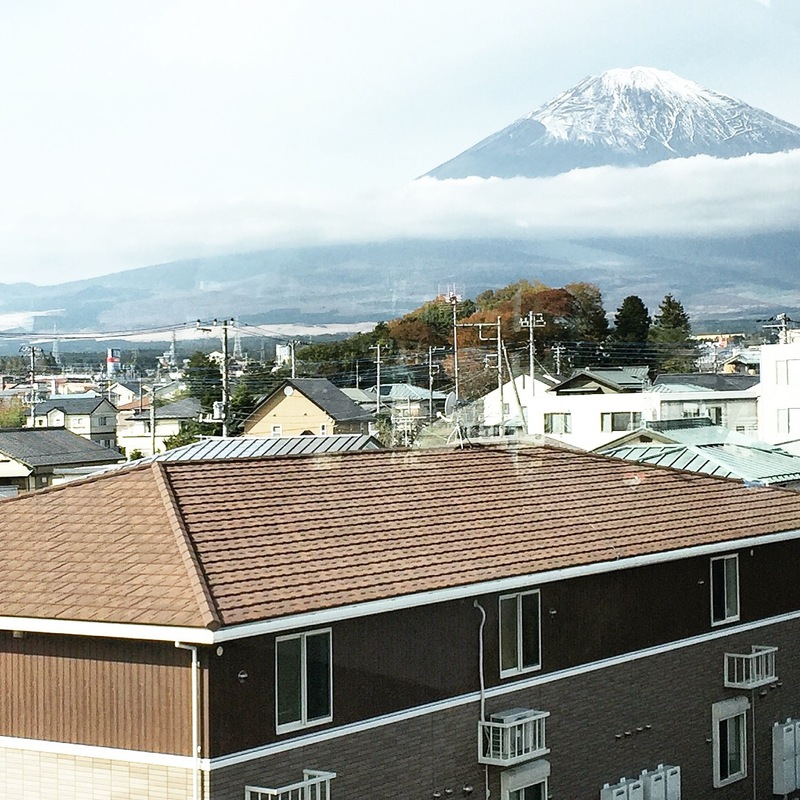 But, onwards we went and hopped on a bus toward Japan’s highest mountain, MOUNT FUJI! The mountain stands at 3,776 metres and is actually an active volcano. No need to worry, the last time Mount Fuji erupted was the year 1708. Even if it did erupt while we were there, HOW COOL WOULD THAT BE?! Destructive, yes, but to see a volcano erupt in front of you would be the cat’s pajamas. Did I really just say cat’s pajamas.. It’s currently 4:30AM and I’m jet lagged AF so, let’s not judge my lack of better word choices. 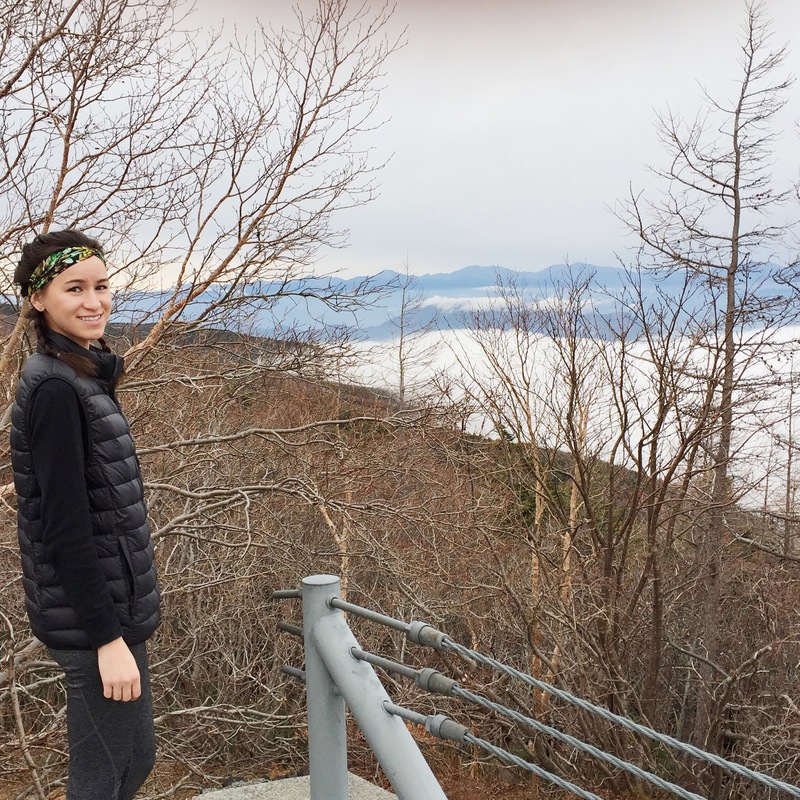 We took the bus up Mount Fuji, which was a couple hours of consistently going around in circles but the view the entire trip was spectacular. Mountains and clouds swarmed our sights, unlike anything we’ve ever seen before. Our heads were literally in the clouds/it was absolutely breathtaking/didn’t seem real/the world is beautiful/I got light headed while I was there/the temperature on top of the mountain was below zero/the black vest I wore did NOT do any mercy/I still love you Japan/Mount Fuji is bomb diggity/lol at the phrase bomb diggity. That evening we stayed in the town of Fujikawaguchiko at a traditional Japanese hotel which means, no beds (I give you a tour in my travel vlog below). Despite sleeping on the ground, our room had a balcony that looked over a lovely lake with numerous mountains as a backdrop. Not a bad sight for when you wake up plus, it was a nice little getaway from the big city. The next day we made our way to Kyoto, Japan. Kyoto was the cutest city I came across on my entire trip to Asia. It once served at Japan’s capital, but is now the country’s seventh largest city and one with deep history. Despite its modern aesthetic with coffee shops and restaurants at every corner, not to mention the gorgeous layout (literally picture perfect), Kyoto was actually destroyed over centuries by countless wars and fires. 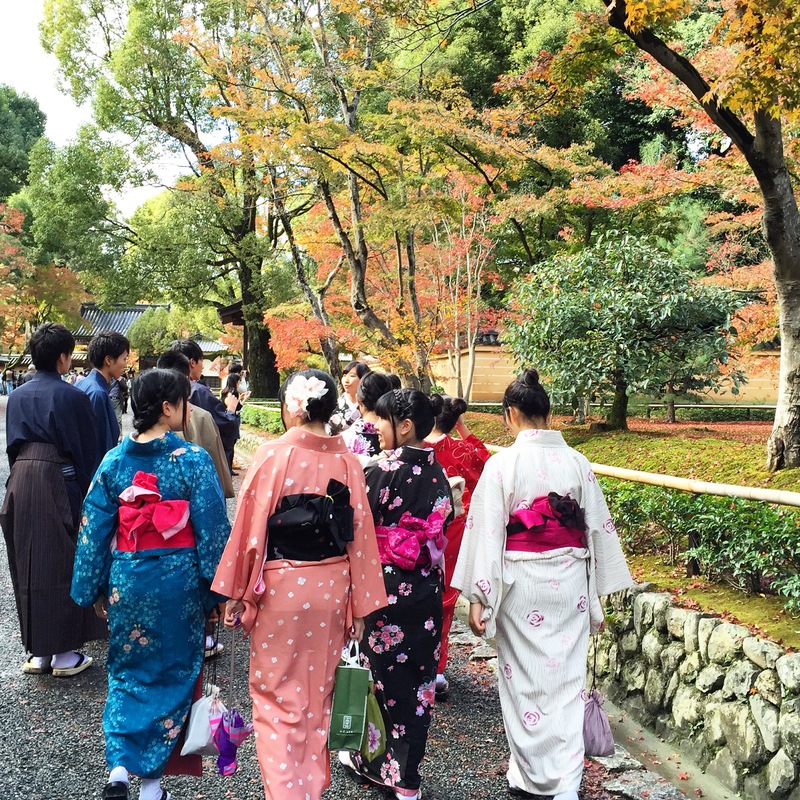 Since Kyoto has so much historic value, it was dropped as a target city for the atomic bomb during WWII and thus, temples and historic sites such as the Kinkakuji (Golden Pavilion) have survived. Well, technically Kinkakuji has been burned down numerous times and part of it destroyed by the civil war but, it’s been re-built and continues to stand ’till this day. 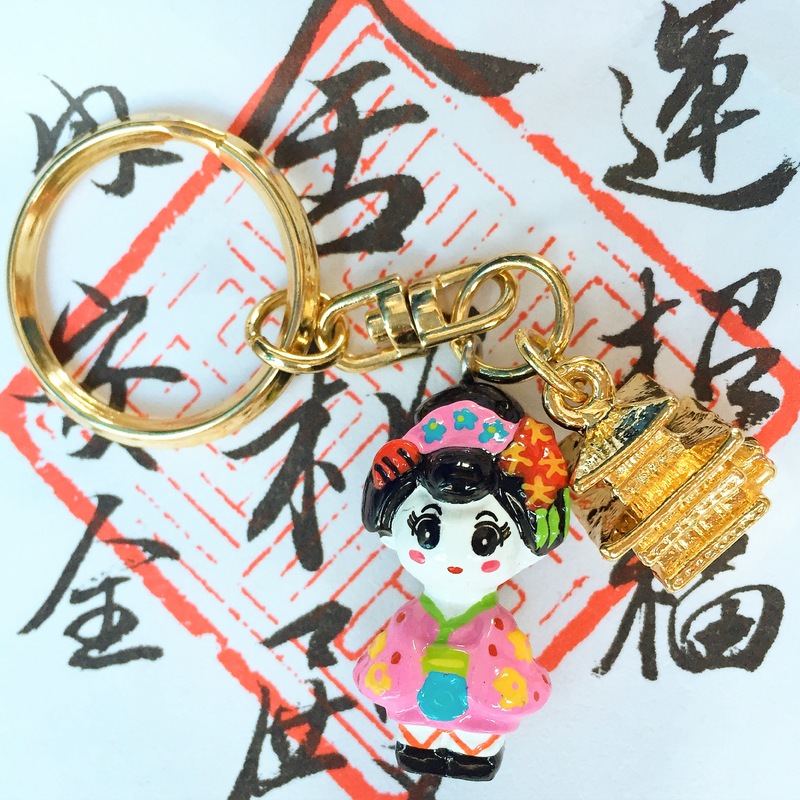 I wasn’t invited to the geisha party, so I bought this key chain to commemorate my lovely stay in Kyoto, and for my love for geishas. We made it to Osaka, right as the sun was going down. 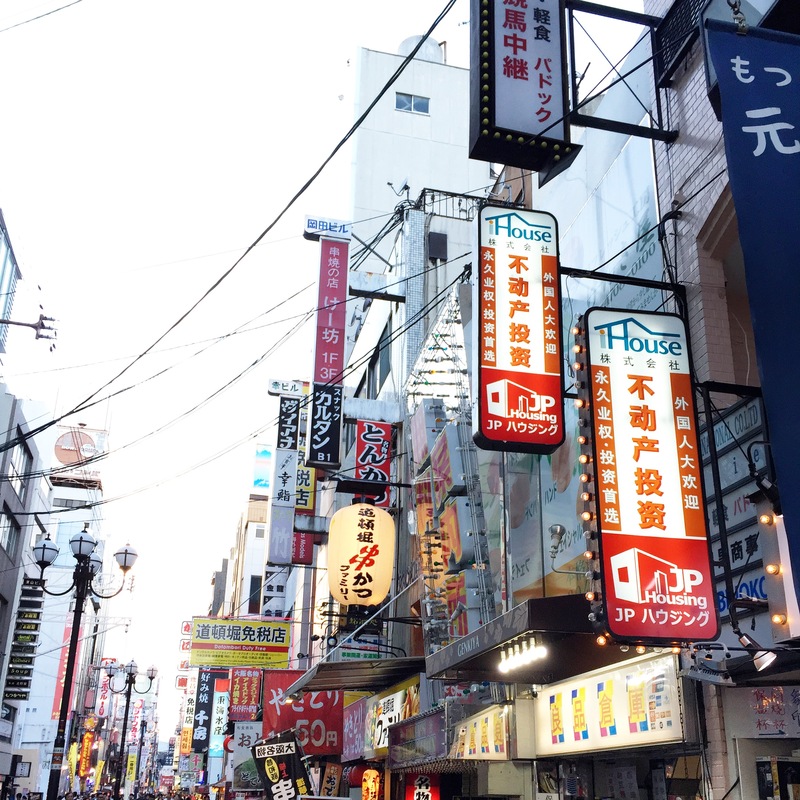 There are plenty of shopping and trendy restaurants in the Dotonbori Area, filled with neon lights and bright signs that glittered in the reflection of the canals seen throughout the streets. Loved the vibe of this city.